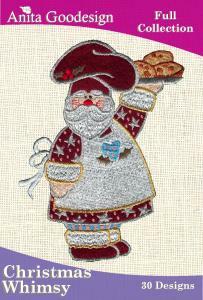 This collection has jolly Santas, whimsical angels and fun animals that would make any holiday project look adorable. Use more browns, peaches and lighter greens for a more country look. This is a great collection for pillows or a Christmas table runner.